Treasury looters to be granted full and complete amnesty – Royal Times of Nigeria. The House of Representatives is reportedly considering a law that would grant looters of Nigerian treasury full and complete amnesty. The proposed law if passed, would give the looters escape route from probe, inquiry or prosecution after fulfilling certain conditions. Also, such looters shall not be compelled by any authority to disclose the source of their looted funds. The bill provides that the scheme is to last for three years, but it could be extended at the instance of the Federal Government. The bill was introduced and read for the first time on June 14 on the floor of the House. It now awaits second reading where it would be debated. The bill, dubbed ‘Economic Amnesty,’ provides in Section 4, a 30 percent tax and additional surcharge of 25 percent of such tax. While the proposed tax would be remitted to the federation account for distribution to all tiers of government, the surcharge is to be remitted directly to specific agencies towards agricultural and infrastructural development of the nation. The agencies are the National Agricultural Research Development Fund and the Nigerian Infrastructure Fund. The Central Bank of Nigeria (CBN) is to manage the scheme, while the declaration would be made to the chairman of the Federal Inland Revenue Service (FIRS). The proposed law also exempts all declarations made from further assessment/taxation by any tax authority within Nigeria, outside the tax and surcharge provided therein. In the bill, the Federal Government has powers to make consequential “orders not inconsistent with the Scheme to remove any difficulties” that may arise in the course of implementation. 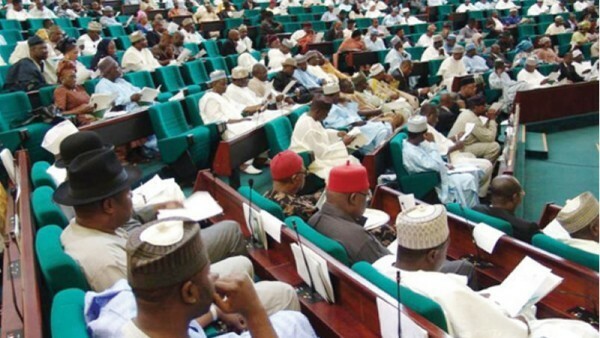 The lawmaker said; “Being an interventionist Scheme, the bill proposes a time-frame of three years for the commencement of its implementation unless extended by the Executive, through CBN. “In return, the bill proposes a total and comprehensive amnesty for all declarants from all otherwise repercussions under Nigerian laws and further provides that all such declarations shall be inadmissible in evidence against the declarant except in ‘matters of national security,” the lawmaker said. “Matters of national security are those facts and issues to be determined by a court of competent jurisdiction before effect is given to the exception”. “Outside the exception on grounds of national security, no declarant shall be required to state the source or sources of the assets or income declared,”. He said the bill was; “proposed as a practical, though temporary, solution to corruption – which has afflicted all generations of our society, since independence and force us continuously down the development pyramid. The lawmaker also said the scheme would be a workable solution to reverse capital flight that has bedevilled the Nigerian economy and initiate a reverse flow through resultant repatriation. He said; “It is estimated that with the quantum of resources envisaged to be declared and invested in the Nigerian economy, micro and macro-economic stability would result and in turn engender massive economic growth and prosperity with a short time,”. “It would further enable national institutions and operatives to gain valuable insight and intelligence in assets tracing and tracking through professional analyses of generated information,” he said. “The full and successful implementation of the proposed scheme will result in the purging of the rather accommodative mindset of most Nigerians of corruption and engender a new desired national attitude against crass acquisition of wealth to the detriment of the common good,”.